← Eurohockey Championships, Men’s Final: Germany 3-1 Belgium. 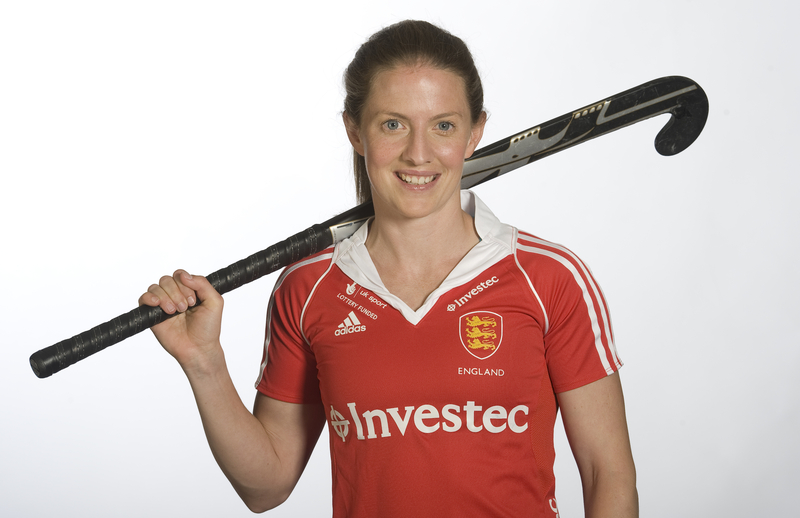 Investec Women’s Premier League 2013/14: Preview Part One. The new Investec Women’s Premier League season has crept up on us, starting as it does, this Saturday. Having had my hockey fix over the summer with some fantastic international competitions, The Top of the D is raring to go for the new domestic campaign. So, without further ado, here is part one of my preview. First up, the top five teams from last season. It has been a summer of turnover for The Pukkas, Coach Chris Mayer stepped down after 12 years at the helm and has been replaced by Duncan Woods. Woods has 90 international caps and a host of coaching jobs under his belt at various levels. He comes highly recommended by his predecessor but undoubtedly faces a tough task. The Oranges are always there or thereabouts when it comes to the business end of the season, but having lost such quality it will be hard for them to maintain their seat at the top table of domestic hockey. That said, they still have plenty of talented players in the ranks including last season’s top scorers, Katie Long and Jo Hunter. In goal, too, they have recruited well, with Maggs Rees making the move from University of Birmingham to step into the gap left by the excellent Hinch. Rees is a more than capable goalkeeper with plenty of experience both domestically and at international level with Wales. Much will depend on the team ethic, and the ability of Woods to gel the remaining players and get them to step up into the gaps left by the departed stars. Katie Long: Fresh from a spell playing domestic hockey in New Zealand, the elegant forward will be raring to go for the new season. A player I was surprised not to see in the Great Britain central squad will be able to devote her energies to scoring goals for the Pukkas. Her skills will be crucial in her teams attempts to capture domestic and European glory again. Long netted eleven times last season, making her the joint top scorer with Hunter. Along with captain Vanessa Hawkins, she will be the player Woods looks to for those moments of inspiration. The Kent side had a fantastic season last time out as their brand of fast, exciting, attacking hockey fired them to second place in the league phase of the season, and third in the playoffs. Still a relatively young side with a smattering of experience, the Polo Farm outfit should still be able to cause any team problems. Last year they scored goals from all over, with four players in the top 15 scorers for the league, (Jade Mayne, Eliza Brett, Sarah Kerly and Lucy Hyams) sharing 40 goals between them. Although three of those have departed, as well as Susannah Townsend, (Brett remains) they have recruited the Scottish duo of Nicola Lloyd and Nikki Kidd. Kidd poses a threat from penalty corners and they will hope she can help find the goals that Mayne, Kerly and Hyams supplied. I am sure new coach Jen Wilson will ensure they play the same free-flowing style of last season. Player to Watch: Kidd will obviously have a big role to play, especially from corners, however my one to watch is Eliza Brett. Still only 18, Brett netted 11 times in the league last season, just one short of top scorer Jade Mayne. A product of the Canterbury youth development system, ten of her 11 goals came from open play, showing Brett knows how to make the most of the opportunities that come her way. A lot of pressure to put on such a young player, however her quality in front of goal is evident and will be crucial to her team. Reigning indoor and outdoor champions, last year was a fantastic season for the ‘ding who added a European trophy to their domestic titles for good measure. Led by Coach Steve Bayer and their excellent captain, Emma Thomas, the Sonning Lane side are used to success and will expect more of the same this time out. They had a patchy run in the league before Christmas last season, but came good when it mattered and really turned it on in the playoffs. Their squad is hugely talented boasting the likes of Alex Danson, Susie Gilbert, Emily Maguire, Sam Quek, Helen Richardson, Susannah Townsend and Kate Walsh, all from the Great Britain squad, as well as South African Star Dirkie Chamberlain, it is clear to see Reading will be the team to beat this season. Player to Watch: With a squad that reads like a who’s who of hockey it is hard to pin one person down as a player to watch. Personally, I am looking forward to seeing Susannah Townsend play for the ‘ding. The former Canterbury star had a fine campaign last season and it will be interesting to see how her direct, powerful, quick and skilful style fits in with the rest of the team. Townsend is hugely talented, but I expect her to get even better as she is surrounded by quality players. 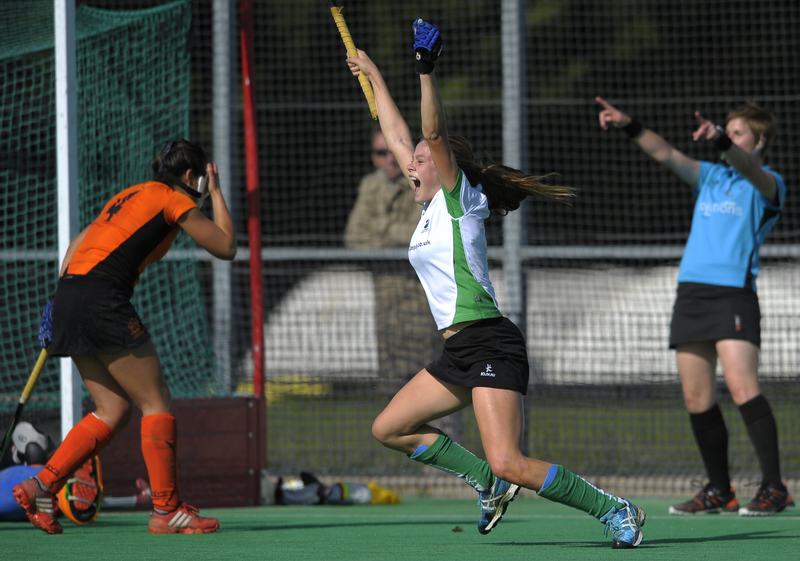 Surbiton made the end of season playoffs in 2012/13 where they wound up finishing fourth after tough defeats to Leicester on a shootout and Canterbury in a close 3rd/4th playoff. Surbiton’s campaign last time out was based largely on a solid defence, conceding just 24 goals in the league, which was the second least behind Leicester. They have further strengthened their defence with the signings of Great Britain pair Hollie Webb and Giselle Ansley who join their international colleagues Sarah Haycroft and Georgie Twigg in an impressive squad. With Becky Herbert joining from Pinoke, they will be confident that the pressure of scoring goals will be taken off last season’s top scorer, Vicky Bryant. Surbiton have recruited well and will be one of the favourites for the end of season play-offs and maybe even the title itself. Rebecca Herbert: With a great deal of experience behind her from her time playing in the Hoodfklasse, Herbert looks an excellent signing for Surbiton. She has over 100 combined England and Great Britain caps and will surely be looking to impress both Jason Lee and the rest of the league on her return home. Hightown finished fifth last season and so wound up just outside the playoffs. They enjoyed wins against the teams around them but came up short against the top four, including heavy defeats to Reading and Leicester. There is no doubt that on their day, Bowdon can match anyone in the league and they will be aiming to get back into the playoffs this time out. 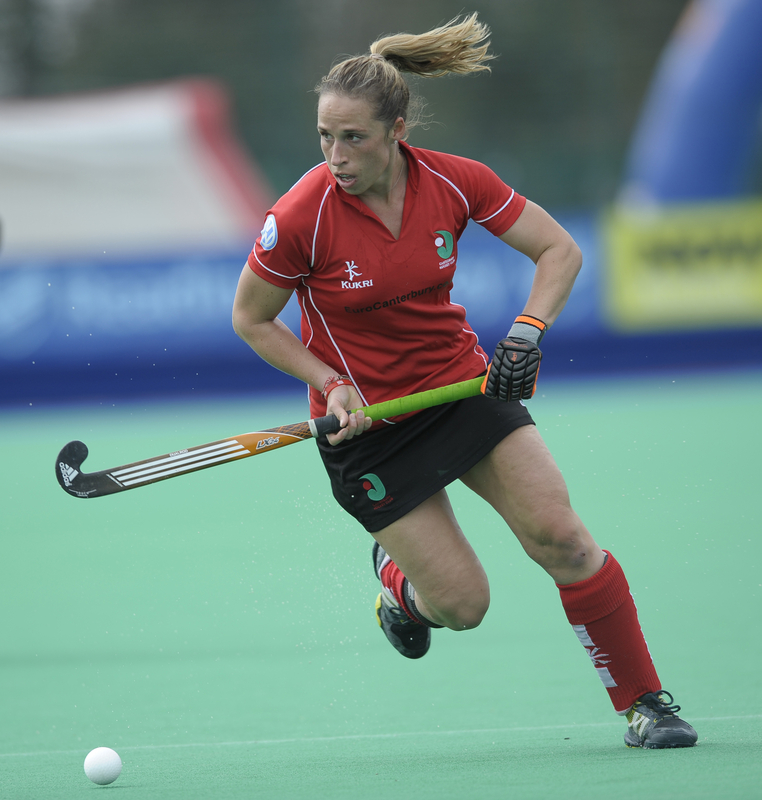 With the return to full fitness of the excellent Great Britain star Sally Walton at the back imminent and with the evergreen Tina Cullen still banging them in at the other end, Bowdon have a dash of real quality to add to a very solid, settled squad. If they get some momentum behind them, they could be a very tough prospect for their rivals. 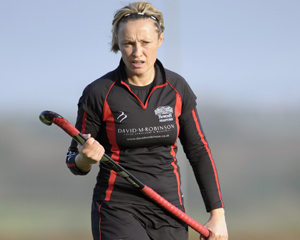 At 43 years of age, Tina Cullen still shows no signs of letting up in her goalscoring exploits. 18 goals in all competitions last season saw her crowned her team’s top scorer yet again. Goals win games, and Cullen now has a ratio of 1.8 goals per game for Hightown, the star forward will be a massive part of her team’s ambitions for the umpteenth time. That takes care of last year’s top five. The other half of the Investec Women’s Premier League will be previewed this afternoon. 11 Responses to Investec Women’s Premier League 2013/14: Preview Part One. Reading – Surbiton – Clifton(!) – Canterbury for the play-offs. The depleted and experienced squads of Leicester and Bowdon slipping down. Olton finally falling thru the trap door, with Sutton Coldfield staying up via the play-offs (Woolford will be a huge loss!). Talent and resources are being dragged ever quicker towards the south-east it seems! Bold predictions! Nice to see someone nailing their colours to the mast. I do think it could be quite open at both ends of the table. Will be interesting to see what happens. I of course, won’t be predicting anything as I’m always wrong and subsequently ridiculed. I also do next week’s lottery results…. Fair play to Canterbury, very hard to beat although benefiting from playing Reading over international weekends twice probably means they’ll win the league (surely this needs to be sorted out? ), but other than that….!? Brilliant review. Really great to see hockey being written about in the kind of detail that other big sports are. I moved from City of Peterborough Hockey Club last year to play hockey for FC Barcelona, and am now playing for Altona HC in Melbourne, Australia! It’s great keeping up with hockey back home via your tweets. (I’m @chrisporter14). Will you be reviewing the men’s league too? Also, can’t believe your reader above hadn’t heard of Alex Danson and Kate Walsh at least! Chris. Thanks for reading and leaving a comment, Chris. I’m glad that my tweets and articles have kept you informed during your world hockey tour! Two players from my club spent a season at Altona and from what they said I’m sure you’re having a great time! Fear not, the men’s league is also being previewed with the first part going up today and the second tomorrow. Oh, and the reader you mentioned, Michael does know Kate Walsh and Alex Danson. He knows more about hockey than he lets on! Blimey, a 43 year old still playing in the top flight! As a noob, I only recognised about three player names. Which three did you recognise, out of interest? It was only players who have played for GB or England. Hannah Mcleod, Maddy Finch, and Holly Webb. That’s totally understandable. Hopefully these previews will show you some of the quality players you’d never heard of before.